Hello there babes! I'll keep it short today. I'm exhausted! 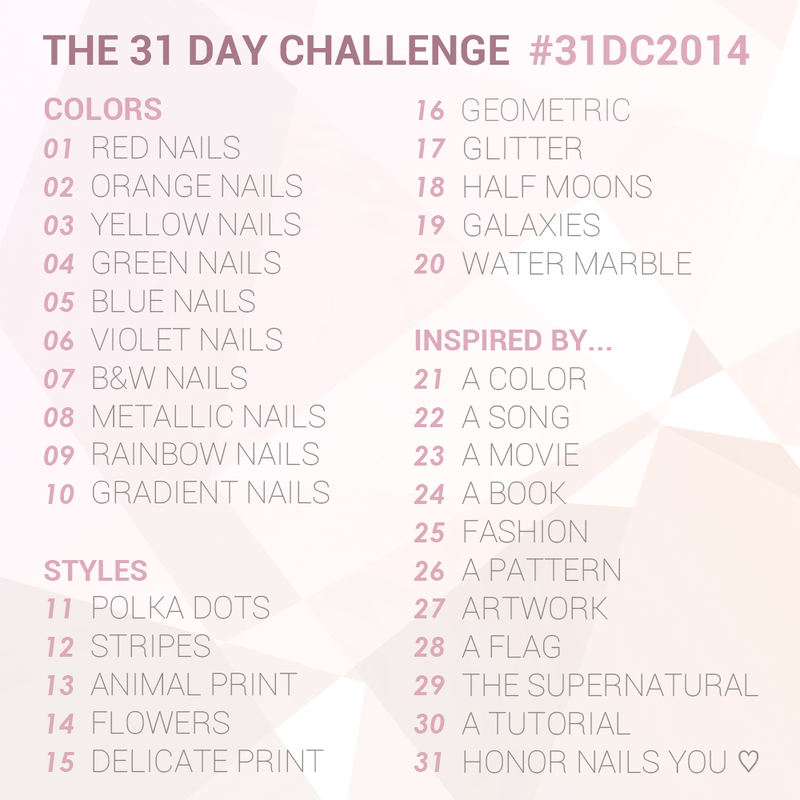 It's day 20 and the theme is water marble! The inspiration for this marble was peach melba ice cream. My father used to buy peach melba ice cream when I was a teenager and I loved it. You can see a tiny inspiration picture if you click here. Today I used Sensinity 21 Naranja as my base and then I marbled with China Glaze Seas The Day and Peggy Sage Brilliant top coat. Finally I made some dots to represent the raspberries using Colors by Llarowe MJ's Jacket. Check out day 20 from last years challenge, click click! Men hur fasiken lyckas du! Jag är glad om jag får samma mönster på typ två naglar när jag marblar!